News by Britt S., Lindsay M., and Matt C.
XSEED has some good news for JRPG fans who play on PC; The Legend of Heroes: Trails of Cold Steel is due for a PC release later this year. This announcement is quite the surprise, because — unlike other Nihon Falcom games like Trails in the Sky and Xanadu Next — there’s no pre-existing PC version in Japan to work with. Trails of Cold Steel has only ever been released on PlayStation 3 and Vita, so the PC version is going to require all the work that porting from those consoles requires. That also means that an already beautiful game will look that much better, as this comparison trailer shows. The PC version of Trails of Cold Steel looks to support higher resolutions and better lighting effects, and has around 5,000 more lines of voiced dialogue — about a 50% increase on the PS3 and Vita versions. No release date has been announced, but the PC release is expected this year. A game that does, however, now have a release is The Legend of Heroes: Trails in the Sky the 3rd, and it’s coming out much sooner than I think anyone anticipated. May 3: that’s less than a month away! This is the third and final chapter of the Trails in the Sky series, after the first two games came out in the West a few years ago. Globally, Trails in the Sky the 3rd is only coming to PC at this stage, though in Japan it came out on PS3, PSP, and PS Vita as well. Poetic Studio ran a very successful Kickstarter campaign for Sacred Fire -- I was an early backer and was really impressed with how they handled communication with supporters via updates — and the game is now fully funded. Sacred Fire takes the concept of player choice-driven narrative and extends it to the core gameplay. It is called a turn-based ‘psychological’ RPG because it is through your personality-driven choices that solutions to conflicts are decided. This intriguing approach caught the eye of Sony, and the developer is now able to offer a digital PlayStation 4 version in addition to the PC version. Work on the PS4 version will start after the PC release. The game is scheduled for release in Spring 2018. The story of Sacred Fire is set in Caledonia, with Rome once again attempting to subdue its resilient people. You create your own male or female character, picking his/her defining personality traits (yes, you can tweak appearance as well). The big decision: which path will you follow? Will you strive to become a War Chief, defending Caledonia at all cost, or a Patriot, intent on saving as many as possible for a better future? Sacred Fire is all about revenge and loyalty, and developing your inner strength will be the key to success. For that special RPG atmosphere you can enjoy the voice of Doug Cockle (The Witcher). As you can see in the trailer, with each turn you choose one of four goals: survive, provoke, intimidate, or gain renown. Skipping an attack will save up energy and charge a special opportunity faster. This special charge enables you to regain self-control, use special moves or trigger a narrative event. For you romantics out there: yes, romance is not only possible but important — it is fuelled by (often conflicting) emotions after all. Strategy, politics, resource management, tactical combat, and above all, choices will shape the story path and lead to one of multiple endings. Sharpen your swords, wannabe ninjas, because the next entry in Bandai Namco’s Naruto series will pit you against others worldwide to prove once and for all who the most elite ninjas are. Naruto to Boruto: Shinobi Striker is an action game where eight players fight simultaneously in 4-vs-4 battles, each choosing one of the most beloved Naruto characters to fight their battle. The game uses a new, vividly-coloured graphic style; regardless, everything you know and love about Naruto is present and obvious. Expect to see, at the very least, Naruto, Sasuke, and Team 7. Using a third-person view, players can use the verticality of arena environments to their advantage -- combine this with having friends on your team, and the options of how to win become almost limitless. Naruto to Boruto: Shinobi Striker will be released “soon” — sorry for the vagueness! - for PC, PlayStation 4, and Xbox One. Expect online leaderboards to show who the best of the best are. 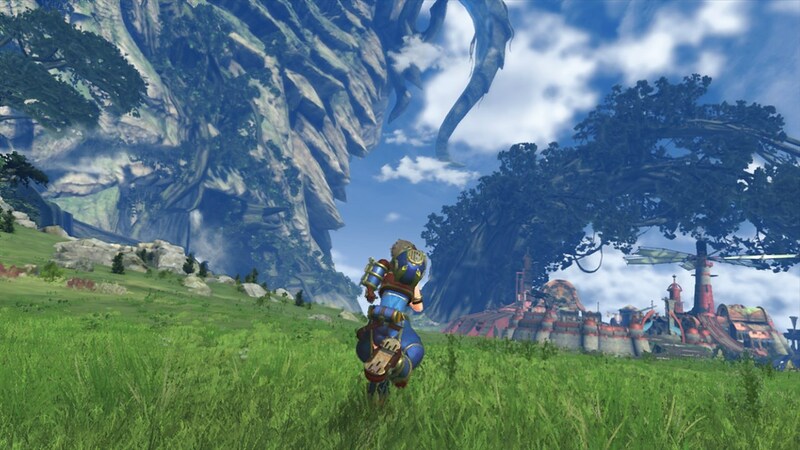 But now we hear from composer Yasunari Mitsuda — known for his work on, among others, Chrono Trigger and Chrono Cross — that almost all the arrangements have been recorded for Xenoblade Chronicles 2 and that mixing the music for the cutscenes has just begun. He is apparently very pleased with the sound quality and the team is mindful of and inspired by the stellar soundtrack of the original Xenoblade Chronicles game. Not surprisingly, this soundtrack is the largest he has ever been involved with.